Anyone who has had to set up a conference room on their own knows the trouble – confusing cables and buttons, missing instructions, spotty connection, and being limited to the one room each time. With TouchPoint Networks' easy to operate, HD-quality video conferencing solutions that are hosted in the cloud, that will be a thing of the past! Full flexibility and mobility. 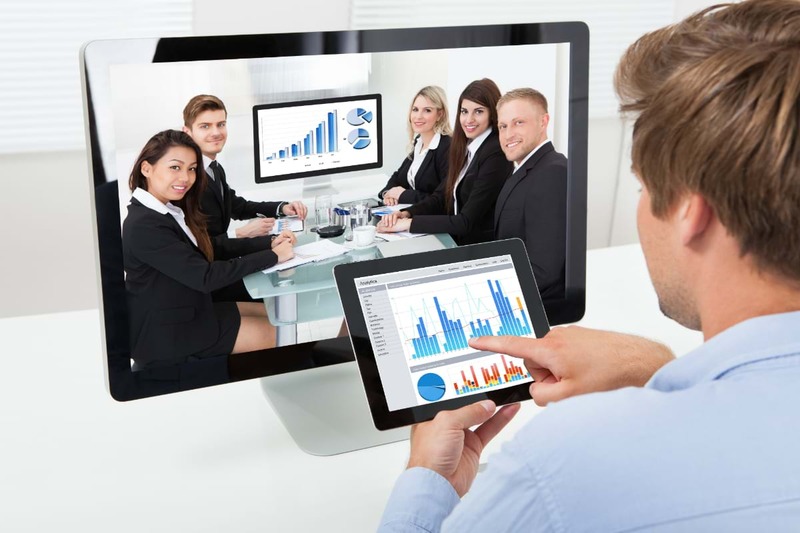 You can use a combination of mixed conferencing systems, such as Cisco, Polycom, Lifesize or Sony, your web browser, an app on your Mac or PC, and even any of your mobile devices. Join the meeting from your home office, while on the go, at a customer's site, or from your favorite meeting room. Just invite attendees with the simple cloud video service and get ready to collaborate. Ok, that’s all well and good you might say, but won’t that cost an arm and a leg? Not anymore. We offer Video-as-a-Service, meaning you don’t have to buy the system and pay for regular upgrades, maintenance, or parts. We take care of everything on your behalf, scaling the service to your business size and needs. Not only can you enjoy an affordable solution, you also don’t have to worry about paying for upkeep or additional users. Ready to set up a face-to-face conversation? Contact us today!